Homestead, Florida is located in Miami-Dade County and found near Biscayne National Park and the Everglades National park. It's a suburb of Miami with a population of about 65,500 residents. The city is the second oldest in Miami-Dade County behind Miami. Miami-Dade County has a much larger population with about 2.7 million residents. The area is also very popular for tourists and international visitors. With both popular parks found nearby and Miami not far away, Homestead ends up with a mixture of different types of drivers throughout the entire year. Homestead is accessible from Highway 1 and the Ronald Reagan Turnpike. The mix of tourists, full-time residents and part-time residents clog up the roads with different types of drivers. About 45,000 car accidents happen in Miami-Dade County ever year with a large percentage leading to injuries. Traffic accidents in Homestead and in Miami-Dade County are on the rise. If law enforcement didn't monitor the roads and give out traffic citations to drivers breaking the laws, these stats would be far worse. Drivers received more than 470K traffic tickets in 2015 throughout Miami-Dade County. Out of the total tickets handed out, the top violation was running a red light with 161K tickets just from red light cameras. Another 89,000 were given out for speeding and more than 54,000 were also handed out for careless driving. These were just the drivers caught by law enforcement officials. Habitual offenders receiving multiple tickets in a short amount of time may be subject to a license suspension. If you receive 12 points from tickets in a 12 month period, you will lose your license for 30 days. Those receiving 18 points in 18 months will be subject to a 90-day suspension. If you happen to get 24 points worth of tickets in 36 months, you will lose your license for an entire year. With the basic driver improvement course, also known as traffic school, you can keep points off your license. This course can be taken online, from your home and will help you avoid points and keep your insurance rates from going up. It only takes a few tickets to end up with a suspended license. If you end up with a suspended license, not only will you have to pay the tickets and the higher insurance rates, but you will also need to pay a reinstatement fee to get your license back. 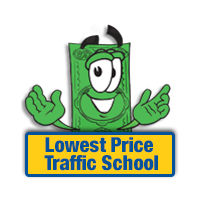 The process of using traffic school to avoid points on your license is very easy. Just pay the ticket, let the clerk of the court know you plan to attend online traffic school, enroll and complete the course. Once you've completed the course, you will need to turn in your certificate of completion to the clerk of the court. That's all it takes to keep points off your license. 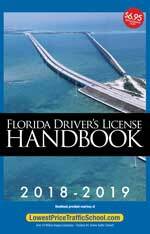 The State of Florida allows you to attend traffic school up to 5 times and use it to erase points from your license. You can take it once every 12 months, so if you haven't attended traffic school in at least 12 months or more than 5 times, you're eligible to use it for your most recent ticket. All tickets issued for traffic violations in Homestead, Florida are handled by the Miami-Dade County Clerk of the Court. The Clerk of the Court will take payment and answer any questions you might have. Find out more about the Miami-Dade County Clerk of the Court by visiting the website.